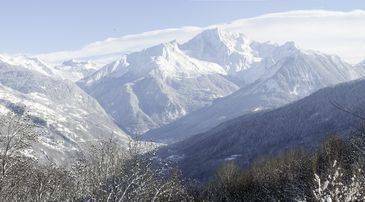 - Fantastic skiing and snowboarding, with good pistes for more advanced winter sportspeople. - Lively nightlife and plenty of shops as well as eateries. - Extensive childcare and activities for the little ones. Espace Killy combines the two iconic ski resorts of Val d'Isere and Tignes, in an area where stronger skiers and snowboarders will really get the chance to challenge their abilities. The area has been named after a famous resident, Jean Claude Killy who grew up in the area and went onto dominate skiing in the 1960s. 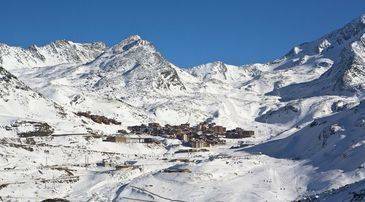 Val d'Isere is the older of the two towns and the skiing history dates back to the 1930s. There is a lively nightlife and it is largely regarded as one of the most upmarket ski areas in the world. In contrast, Tignes is a purpose-built resort and while it may not be particularly attractive, it offers everything a skier needs. As you may expect from an area so well known, prices can be particularly expensive, sometimes competing with central London! Between the two resorts there are 300km of slopes available. There are 20 marked ski routes and the elevation altitude ranges from 1550m to 3456m. While it's true that more advanced skiers are well catered for, there are slopes to suit everyone. Espace Killy adds up like this: 170km of easy runs, 78km intermediate and 52km of difficult runs. The area features a glacier, which makes summer time skiing possible, and the runs are situated both above and below the treeline. Due to the high altitude of the area, the snow is very reliable. From November to May visitors can expect to enjoy good snow conditions, but the area is home to 858 snow cannons, if a little help is required. There are free practice lifts found around the areas for those who are just starting out. There are plenty of easy runs and if you want to ski slowly, there is a specially designated area. 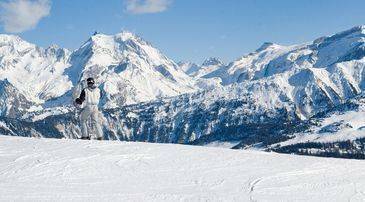 Intermediate skiers will enjoy cruising along on the stunning red slopes but there is a big step up to the next level, which can be daunting for the more nervous skier. Whilst there are some good blue runs at high altitudes it might be advisable to take the lift down, just to avoid any particularly difficult skiing. Advanced runs and ski routes for experts are aplenty in this area. Sache and Face Olympia are particularly popular and freestylers will appreciate the 10,000 hectares of off-piste skiable terrain. A ski guide can be a plus as they really know the area and will take you off piste without the hidden danger. 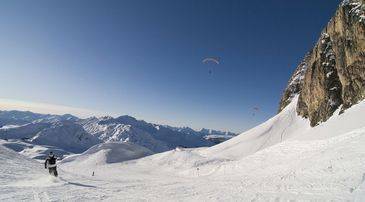 There are two brilliant ski parks in Espace Killy. Val d'Isere Snowpark and the Swatch snowpark. The first is ideal for both beginners and pros and features many jumps and obstacles, while the latter is also suited to all levels with a boarder cross and air jump. There are 30km of cross country trails but they are not all easily connected. The area has plenty of activities to enjoy when you are not strapped into your skis or board. Dog sledding, ice climbing, helicopter sightseeing or perhaps some R and R at one of the spas available. Espace Killy is a paradise for foodies with just about every taste catered for both on the mountain side and down in the resorts. With over 50 eateries to choose from, it can be hard to decide on where to dine. Regulars recommend La Fruitere, with its large wine cellar and fine selection of cheeses, along with other amazing dishes to choose from. For something a little more authentic the mountain hut of L'Edelweiss is a beautiful retreat with a fine kitchen. There are also many slope side restaurants which offer easy going food which is great for a day time snack. If you really want to get your party on, then choose Tignes as this has just the place. Visit La Folie Douce Val d'Isere which seems to permanently be in party mode, with many people dancing here in the middle of the afternoon! Of course, Val d'Isere still has it fair share of party places including Le Graal Nightclub and Krystal Nightclub. While the shopping in Val d'Isere does tend to focus on winter sports shops, there is more variety in Tignes. The sports brands which are on offer tend to be Black Diamond and Burton. There is a good range of fashion boutiques and plenty of beauty stores to stack up on products. There are plenty gift and souvenir shops if you are looking for gifts to take home and obviously there are food stores selling various specialties. The opening times vary but as a rule they open early morning and late in the evening, providing plenty of opportunity to spend your hard earned cash! The ski season generally begins at the end of November and may stretch until around the middle of May. There are various options available for lift passes but online offers will provide passes for two resorts for the price of one. 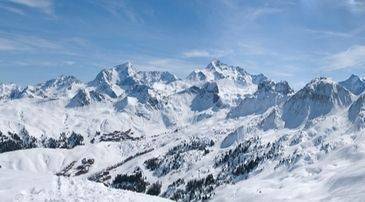 Make sure you contact Madame Vacances for the best deal for both your lift passes and ski equipment hire. In Tignes there are several British ski schools available and while prices can be higher than the French school, many believe it is worth paying for. However in peak periods they do tend to get booked up quickly. The best rated school is New Generation which offers small group lessons for both for adults and children alike. BASS Val d'Isere is highly regarded as the best school in Val d'Isere. Espace Killy is a good choice for families, with large children's play areas and free practice areas within both villages. Children from 18 months are welcome in the family-friendly village of Val d'Isere. Children and families also benefit from a wave run for children, magic carpet, ski kindergarten, ski school and extensive childcare. Parking can be found next to most of the ski lifts and there is usually a fee.